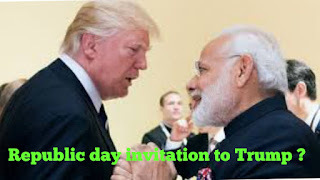 HomeArticlesDonald Trump rejected Indias Republic day invitation ? Trump rejected Indias Republic day invitation ? Media reports that Trump rejected India’s republic day ? will not attend 70th republic day celebration. On 2nd August White House secretary Sarah Sanders acknowledged that an invitation has been extended but I don’t believe that a final decision has been made. The ministry of external affair (MEA) sent a pre-invite to the white house in July. 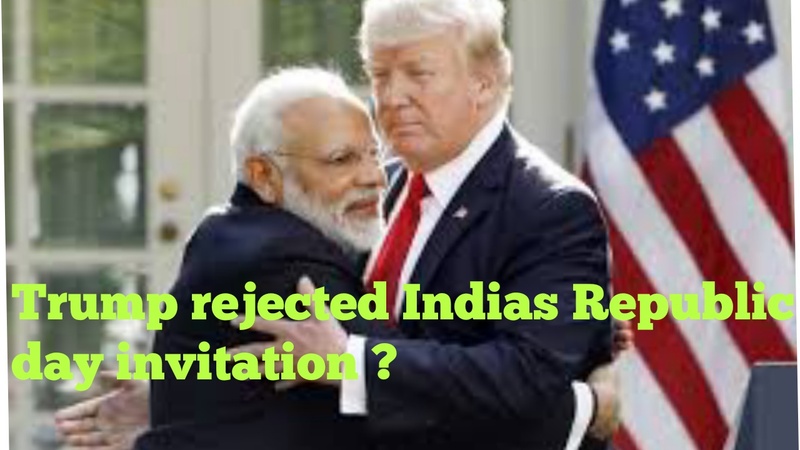 The pre-invite is issued to confirm if a dignitary will be free to attend on event, and is followed by an official invite if the head of state says yes. What some Media outlets reported ? The decision was communicated by US authorities in letter to National Security Advisor (NIA) Ajit Doval, as per reports that Donald Trump will not attend republic day of India. This news was published by some newspaper like TOI, Indian Express but they deleted it saying that it was inadequate information. So right now it is not conform. So, what happened that it became New ? No oooffiof confirmation as of 28th octOcto. However- s crowded domestic calendar mid-term election between 19 & 21 januJan besides some international commitments. Trump visit to India in January is seen difficult to pin down. The address fulfills rules in Article 2 section 3 of the US Constitution, requiring the president to periodically ‘give to the Congress information of the state of the union and recommended to their consideration such measures as he shall judge necessary & expedient. India has also been hit by Trump’s pullout from the Iran nuclear deal, forcing India to slow down it’s dependence on Indian oil. Iran is Indias 2nd largest supplier of oil and the country has been forced to withdraw all imports by November or entering into another feud with Trump. The country also came under fire from the US state department for it’s deal with Russia to purchase S-400 Triumf air defense system. The department was considering against India under the Countering America’s Adverseries Through Sanctions Act (CASTA).